From the moment that Megan and Kyle inquired with me, I knew we would be the perfect match. 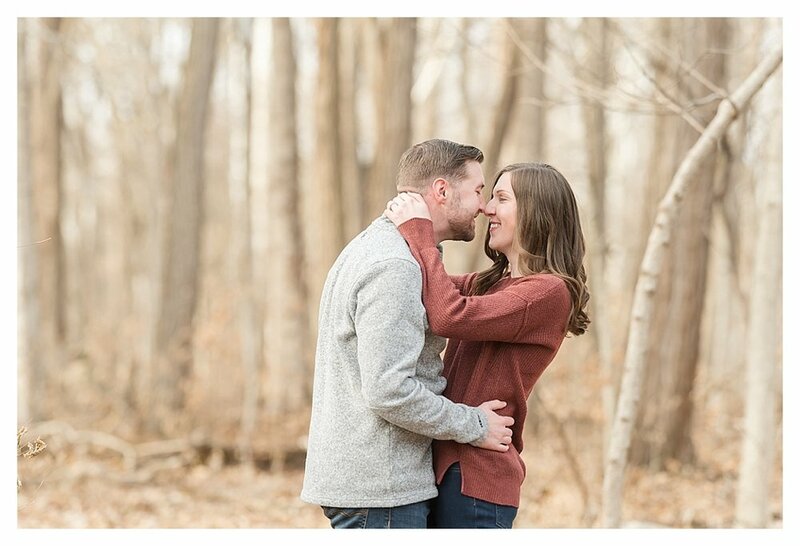 Right away in he inquiry email, Megan mentioned that her and Kyle definitely wanted a winter engagement session, and they wanted to do it in Broad Ripple. I absolutely love when my couples are dead set on doing an engagement session with me, because I feel the same way! 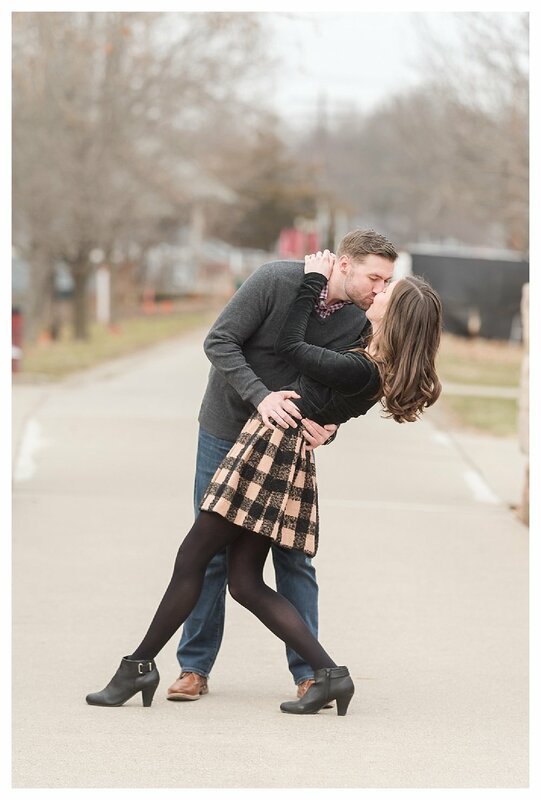 Engagement sessions are such a great way for us to not only get to know each other, but also for my couple to get to know my posing and shooting style. On their wedding day, Megan and Kyle are going to be old pro’s! 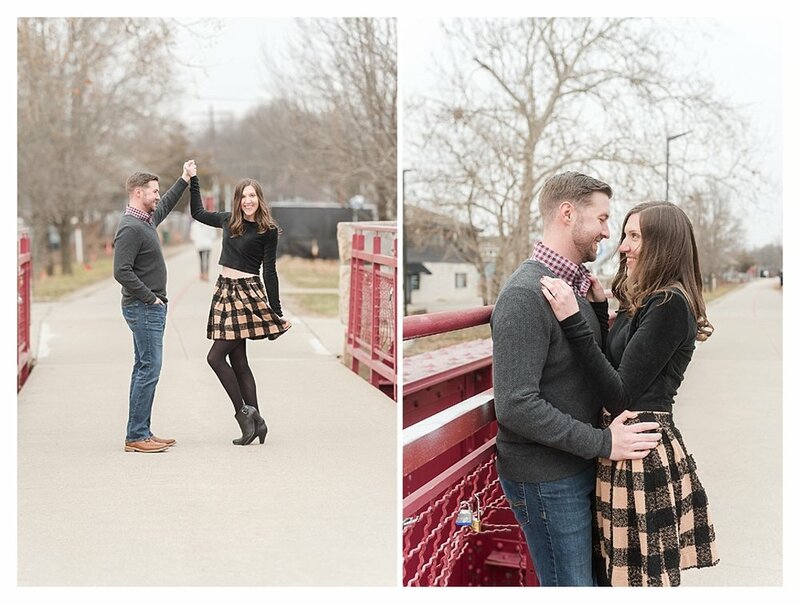 These two chose Broad Ripple for their engagement session, because they currently live there together. When I asked if there were any specific places in Broad Ripple that were special to them, Megan told me that at this point, they have special memories all over Broad Ripple. What a sweet answer! We ended up using a path right off of the Monon Trail for their photos with their adorable dog. 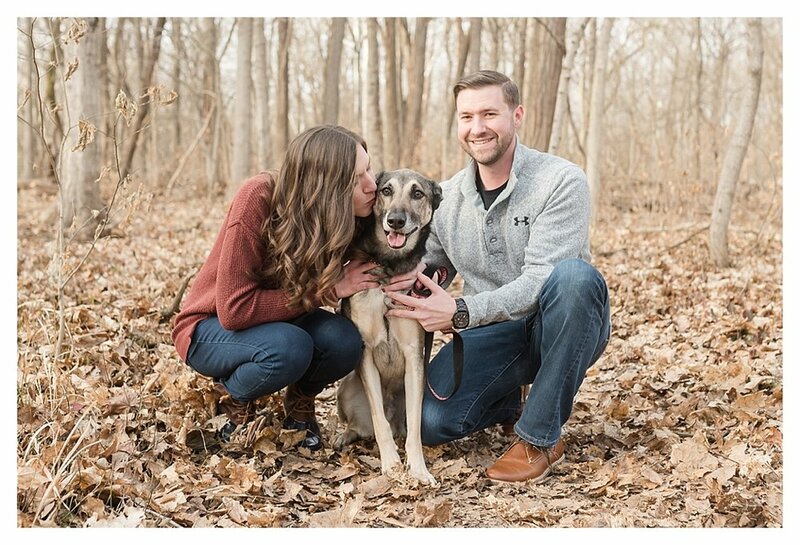 I love when couples bring their dog to their engagement session. Next, we took some photos at the Indianapolis Art Center, which is such a neat little hidden gem that our city has. Then after an outfit change, we took some photos on the love lock bridge. And we finished our session on the rooftop of the HopCat parking Garage. This was seriously such a fun session, and we got to explore all of Broad Ripple. Megan and Kyle were so much fun to work with and just adorable in their interactions with each other. I already can’t wait for their wedding at the Mavris Art Center in downtown Indianapolis this October. Megan and Kyle, enjoy your sneak peaks! Your full gallery will be on its way soon! Are you looking for a wedding photographer? I would LOVE to work with you! Send me a message over on my contact page!